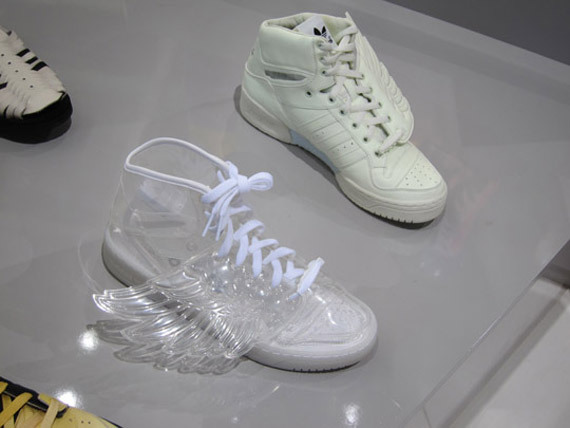 The folks at HighSnobiety report on the newest and hottest trends from Jeremy Scott and Adidas, as part of the Original’s Collection. 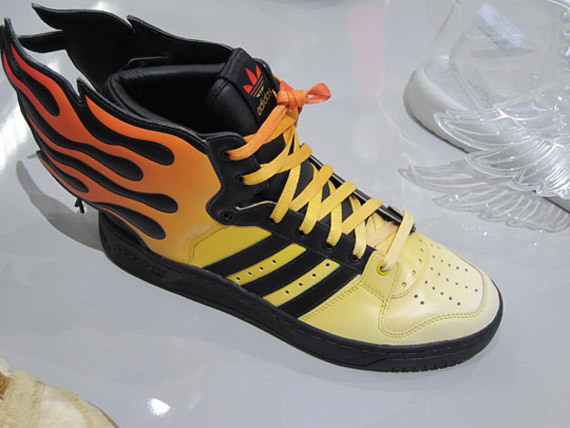 According to H.S. 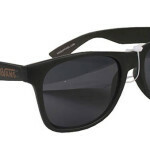 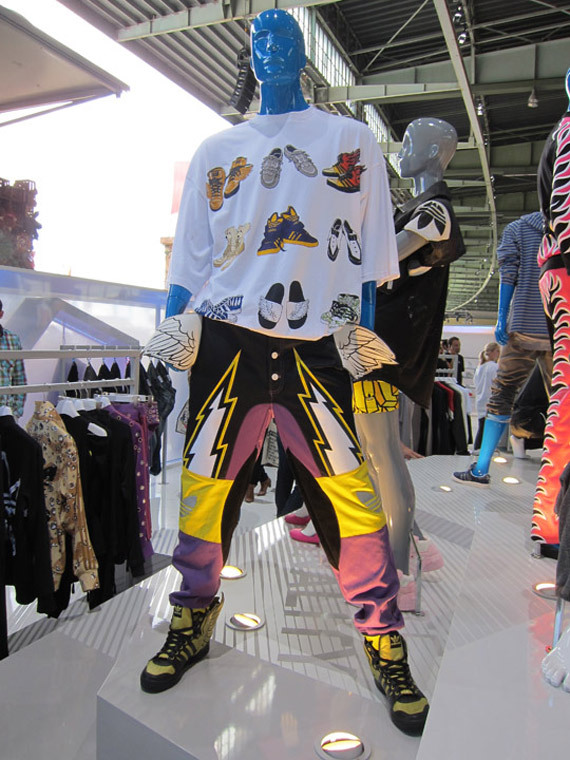 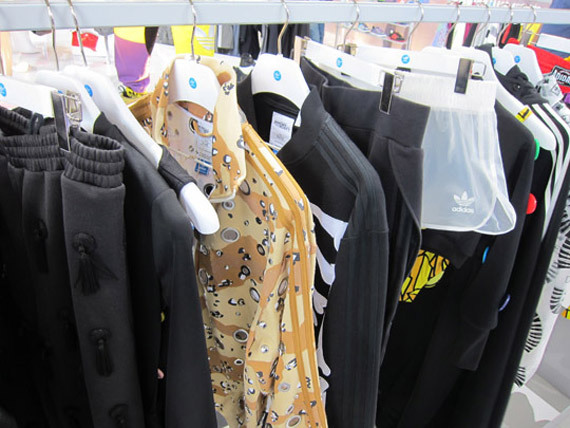 the following were on display at Bread & Butter Berlin was the latest line up from none other than Jeremy Scott. 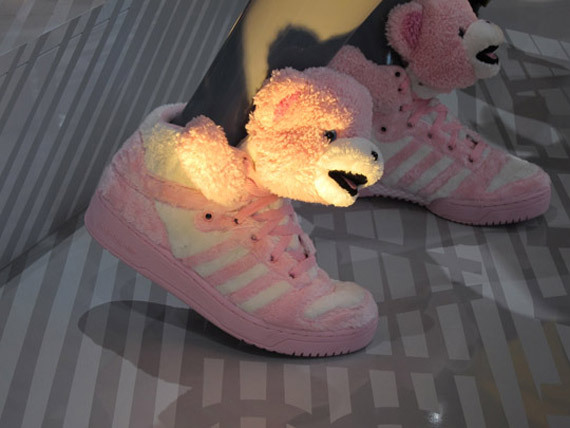 And who other than Jeremy Scott would make a teddy bear sneaker complete with a head and arms?! 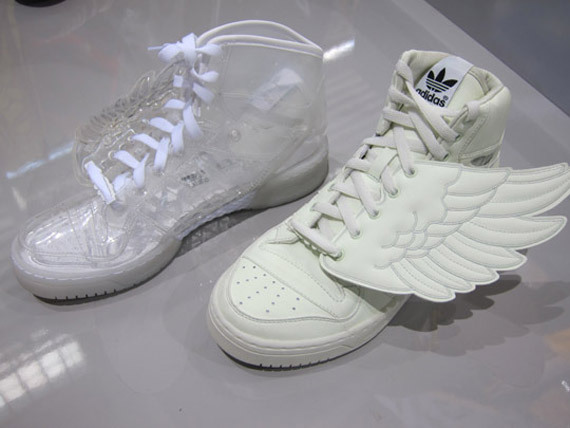 There’s much more to see – a pink version of the teddy bear sneaker, clear, glow in the dark and flaming “Wings” sneakers and some wild apparel.